The Nutrition Education Promotion Association (NEPA) in the Falk College’s Department of Public Health, Food Studies and Nutrition will host Brian Wansink, Feb. 26 in 001 Life Sciences Building at 7 p.m. 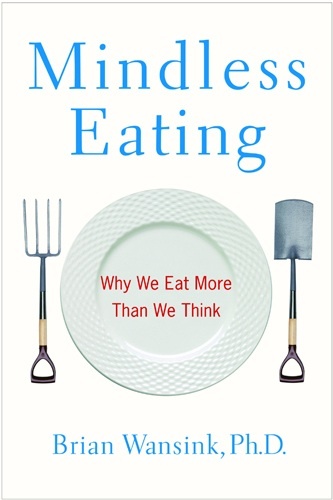 The community is invited to attend this free lecture on the topic of mindless eating. As a consumer psychologist, Wansink studies food psychology and eating behaviors. His work focuses on understanding how the environment influences an individual’s decision to consume food. His research guides individuals in understanding how they can change eating behaviors and why these changes are successful. The John Dyson Professor of Marketing at the Dyson School of Applied Economics and Management at Cornell University, Wansink directs the Cornell Food and Brand Lab. He is the lead author of more than 100 academic articles and books on eating behavior, including the best-selling “Mindless Eating: Why We Eat More Than We Think” (2006). From 2007-2009, Wansink was granted a leave of absence from Cornell to accept a presidential appointment as executive director of the USDA’s Center for Nutrition Policy and Promotion, the federal agency in charge of developing 2010 Dietary Guidelines and promoting the Food Guide Pyramid (MyPyramid.gov). Wansink’s award-winning academic research on changing eating behaviors has been published in the world’s top marketing, medical, nutrition and obesity journals. It contributed to the introduction of smaller “100 calorie” packages to prevent overeating, the use of taller glasses in some bars to prevent the over-pouring of alcohol, and the use of elaborate names on some chain restaurant menus to improve enjoyment of the food. NEPA is a student organization in the Falk College’s Department of Public Health, Food Studies and Nutrition that promotes health and nutrition education to the SU and the Syracuse communities. For more information about the presentation, contact the department at 315-443-5573.